With so many different genre of motorcycle it can be hard to keep up with them all. Retro’s, Naked’s, UJM’s, Vintage, Antique, Classic and modern Classic motorcycles to name a few. So, let’s take a look at one of these that is currently gaining prominence, the modern classic motorcycle. What is a modern classic motorcycle? 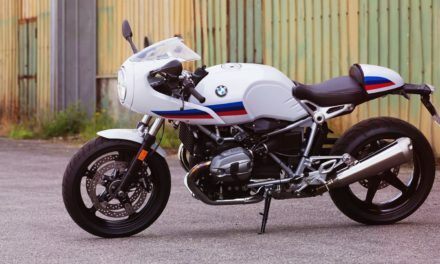 A modern classic motorcycle is styled to look like it belongs to a bygone era yet offers the rider the safety and reliability of a modern motorcycle. Although not always the case, generally modern classics are chosen for their looks and the performance is secondary. 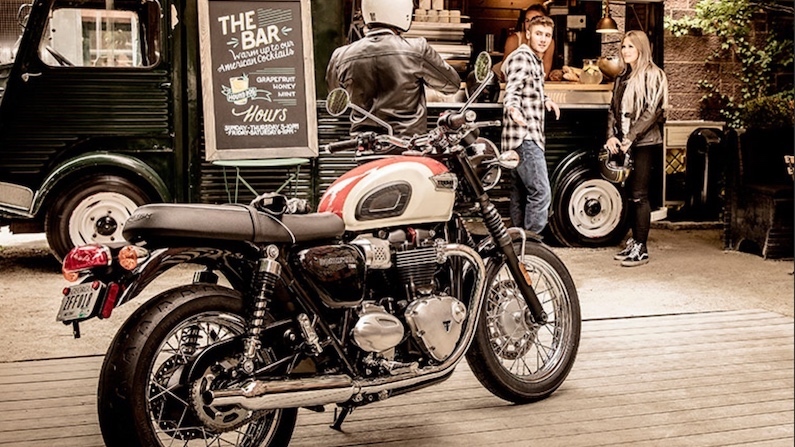 Who Buys a Modern Classic Motorcycle? 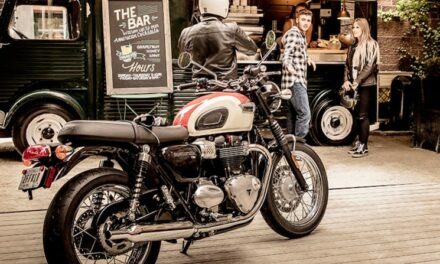 Although the marketing departments of the motorcycle manufacturers would have you believe that their modern classics are snapped up by Hipsters, it seems to be the older motorcyclists who buy them. At least that’s my experience anyway. In my case I returned to riding after a near 25 year absence due to falling back in love with the classic looks once the retro scene took off. I have met others who never left motorcycling but found the modern classics looks and easy riding position appealed now that the sports bike was taking its toll on the back and other muscles. For others it’s simply a chance to own a motorcycle with the looks and styling of the ones they rode or admired in their youth. Couldn’t afford a Kawasaki Z1 as young man in the 1970’s? No problem, you can afford the new Z1 900RS today. Probably the best example is the new Triumph Bonneville. You immediately know it’s a Bonnie as soon as you see it. A car driver wouldn’t know if it’s a 60’s classic Bonnie or a 2019 modern classic. I remember chatting to a visitor during the Manx Grand Prix. The Triumph Bonneville Bobber hadn’t been out long and I’d only owned it since TT week a couple of months earlier. He was admiring the bike and having a good look around it. We were talking about how good a job Triumph had done in making it look like a hard tail, giving it the appearance of an old pre-unit engine with carbs, fins on the barrels etc. I pointed out that unlike the modern Japanese motorcycles, you barely noticed the fact it was water cooled. It was then that he admitted he hadn’t until I had mentioned it. A question I hear a lot from none motorcyclists is “How old is it?” It’s important to realise that’s music to the ears of the designers of any modern classic motorcycle. The aesthetics take precedence over performance. 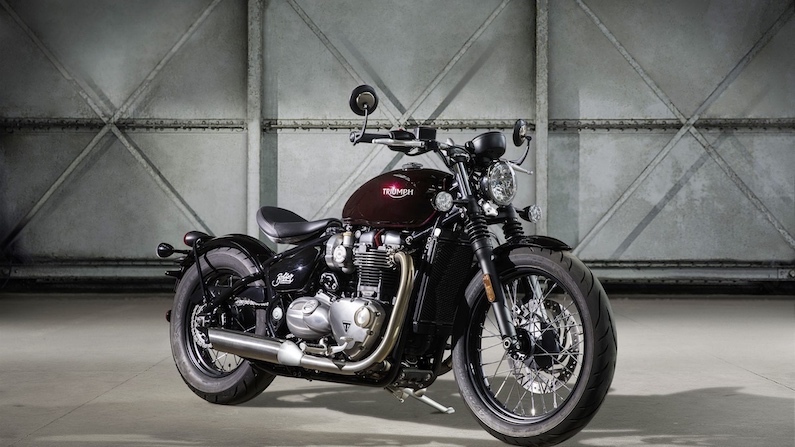 The Triumph Bobber, T120 Bonneville and Thruxton all share the same 1200cc engine but all perform differently due to engine mapping. You couldn’t ride a Bobber at 120+mph so it’s mapped for low end torque and restricted to 110mph. The limiters on modern classics are generally for safety purposes. Due to the upright sitting position and the fact that almost all are naked’s, there’s a chance they would become unstable if they were allowed to top out. So if someone loves the 60’s looks of a Triumph Bonneville or the Kawasaki Z1 from the 70’s, why buy what is essentially a copy when there are still originals to be had on Ebay? Commitment – Many people simply do not have the time to restore and maintain a 30+ year old motorcycle. Convenience – They want something that starts up on the button every Sunday morning so they can go out for a blast rather than working on it. Safety – Some of those 70’s Japanese motorcycles were so far ahead of their time they left the manufacturers of such things as tyres, brakes and suspension in their dust. No.3 is particularly important if you are an inexperienced rider determined to have the genuine article instead of a new, safer retro version. A modern retro motorcycle will have ABS and traction control. It will have a selection of riding modes. Disc brakes mean it will stop when required to and will start straight away even if it’s been in the shed all winter. 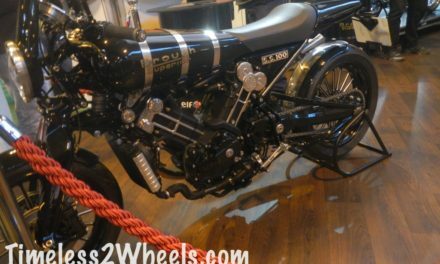 If you are keen to own an original read this post – What is the best classic motorcycle to buy? At what age does a motorcycle become a classic? In the UK a classic motorcycle is generally considered to be over 25 years old. Some insurance companies may go as low as 20 years or as high as 30 though so do check. According to The Antique Motorcycle Club of America a motorcycle is considered an antique if it is over 35 years old. I would think to be called an antique motorcycle in the UK it would have to be at least pre-WW2. Please correct me in the comments if you know better. A vintage motorcycle appears to simply be another term for classic. However, I did find out that if you wanted to enter your motorcycle in a vintage show they usually don’t accept motorcycles made after 1975. PreviousWhich Cafe Racer Is Best For A Beginner?